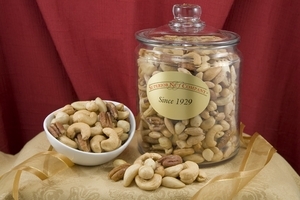 Fresh, and slow roasted in small batches, the old-fashioned, oil-roasted giant cashews, mammoth pecans, and colossal pistachios come lightly salted to enhance their fresh flavor, or unsalted for a bold, natural sweetness. 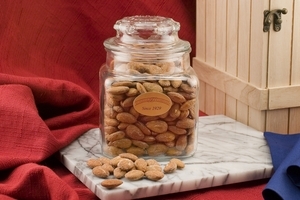 The beautiful glass decanters add their own signature style and elegance. 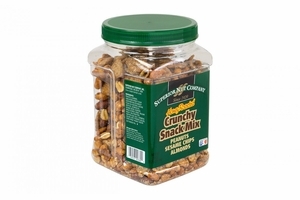 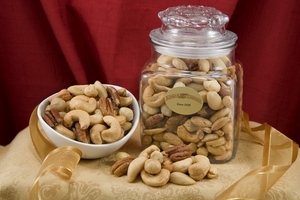 Indulgent and delicious nuts can satisfy the munchies of the most finicky snackers. 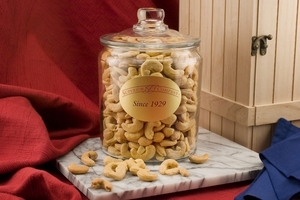 Consider the cashew. 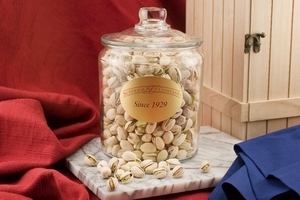 These giant nuts have a history as rich as their flavor. 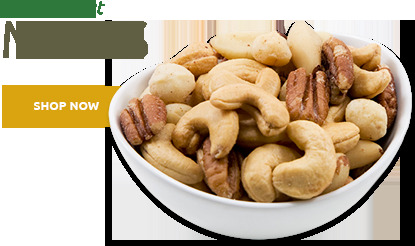 Native to Brazil and transported to India, Africa and Asia in the 16th century by Portuguese sailors, cashews have been cultivated as a source of food and medicine ever since. 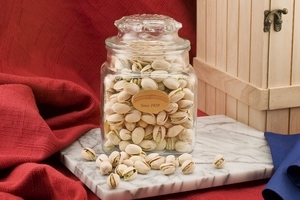 As for pistachios, in many countries they were given to guests as part of wedding feasts for centuries, and it's said Roman emperors finished every meal with bowls of these exquisite green nuts. 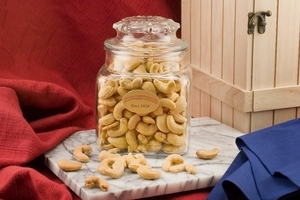 These giant cashews or colossal pistachios make a wonderful grand finale for any dinner party with friends. 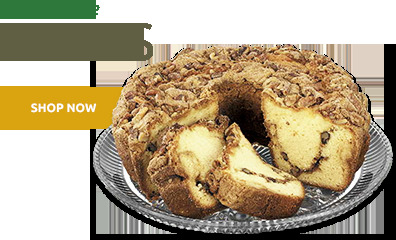 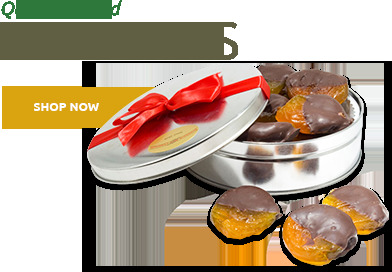 Or try the mammoth pecans at your next holiday get-together with family. 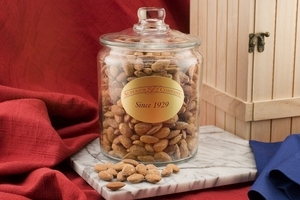 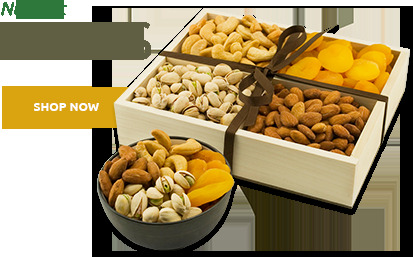 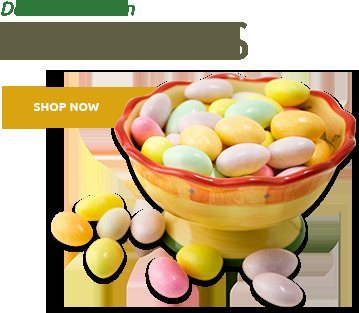 Each charming clear glass jar and decanter contains delectable, gourmet mixed nuts with smooth southern pecans, crunchy California almonds, and hearty Oregon hazelnuts. 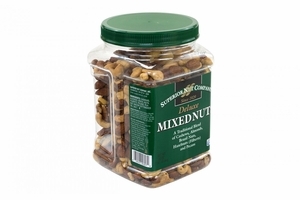 These distinctive nuts are always appropriate for entertaining, or simply enjoy them as a savory and delightful way to celebrate the end of a busy week.